Patient financing. Just about every bank has tried it. Most financial institutions agree that if the patient has the credit worthiness and the dollar amount of the loan is large enough, patient financing is good business for the bank. The problem is, almost all patient financing is small dollar amount and the time and cost of underwriting simply isn’t worth it. Historically patients have been forced to rely on their personal credit card or “medical” credit cards. (Think Home Depot card with the a same-as-cash introductory period and then an absurd interest hammer if you don’t pay it off before the introductory period ends.) 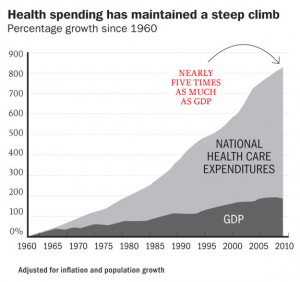 Time Magazine’s “Bitter Pill” article noted that 20% of the United States’ GDP is spent on healthcare and that PERCENTAGE is rising every year. That is $2.8 trillion that is being added to revolving credit balances, coming out of depleted savings accounts or being squeezed into monthly budgets and paid through medical provider financed payment plans. So how do we take patient financing and make it helpful to patients, non-invasive for medical providers and profitable for banks? The key is automation and outsourcing. No. Not that kind of outsourcing. I’m talking about outsourcing the application, approval and underwriting process to the medical provider. MyLoans™ by Epic River allows the bank to enable a medical provider to generate patient financing loans at a fair (and government regulated) interest rate. The bank gets a new interest revenue opportunity they have barely touched. The medical provider gets a better means of collecting payment. The patients get a means of financing that is predictable, fair and more likely to fit within their budget. Drop us a line and we can put you in touch with the banks that use MyLoans™ to become very successful in the patient financing market.